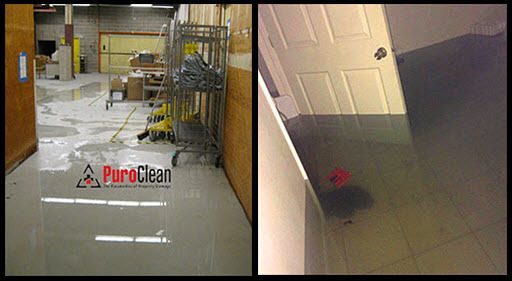 Our business exists to solve property damage problems. 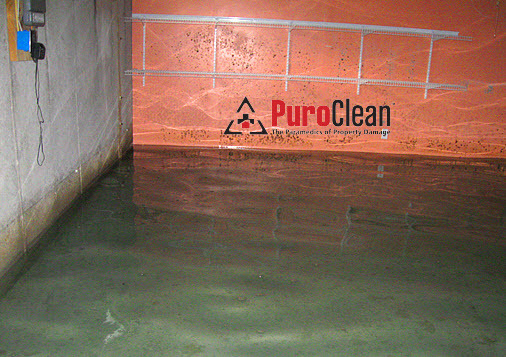 And part of what makes our business so rewarding is our ability to find solutions to problems, especially when the cause of the mold damage problem is not immediately apparent. Sometimes the problems are caused by nature; sometimes they’re caused by human error. In this story, it was human error. A cable technician (for a national cable company who shall remain nameless!) 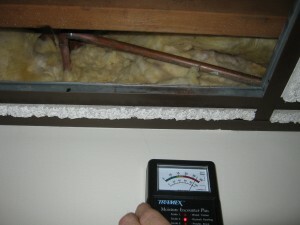 made a mistake when installing a new system for a homeowner in Cherry Hill, NJ. 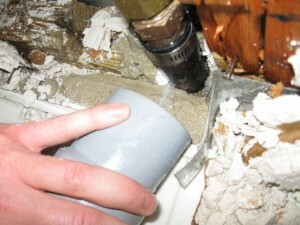 Part of any cable installation process is drilling through drywall to keep the cable as invisible as possible. Normally, this doesn’t create any problems. Unfortunately, for this homeowner, the technician made a mistake and drilled through the drywall <strong>AND</strong> the plumbing. The mistake was not immediately apparent because the cable was perfectly threaded through the holes the technician drilled in the plumbing. So most of the holes were plugged for a while. 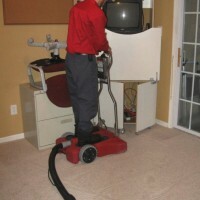 But then, after a few weeks, the homeowner started noticing dampness on the basement carpet. 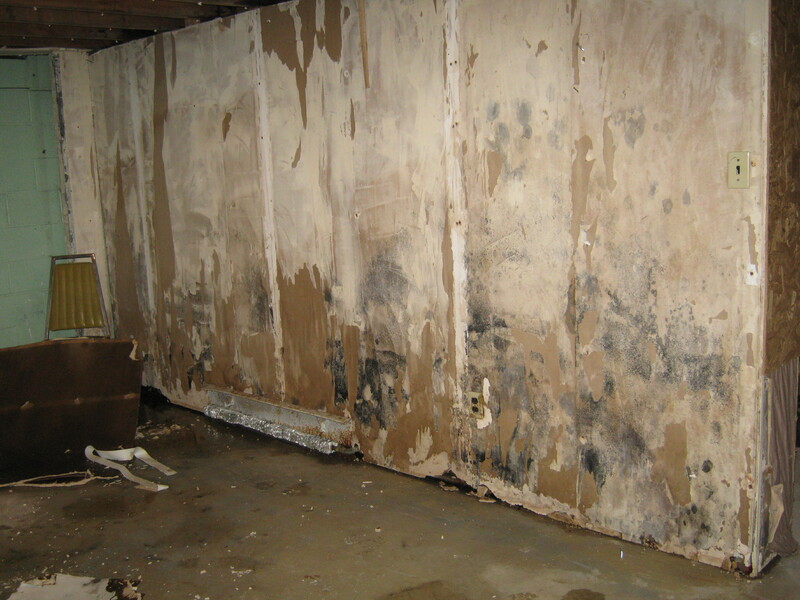 A few weeks later, she noticed the walls were becoming discolored and were buckling. And then there was the smell . . . .
With our moisture meters and infrared camera, we pinpointed where the water was coming from. 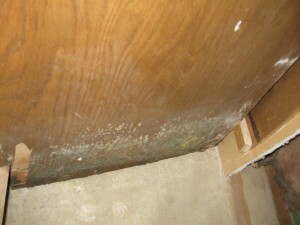 From there, we assessed extent of the mold damage. 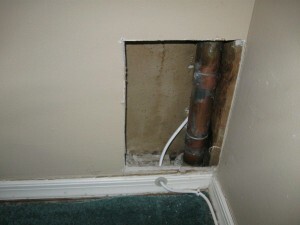 Once we removed the cable from the pipe, water gushed out! 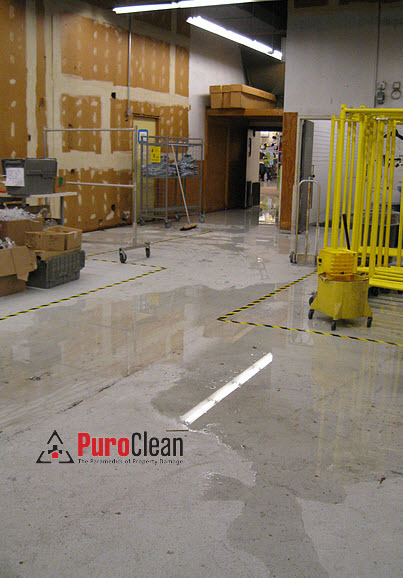 We stemmed the tide of the water water damage by temporarily plugging it until a plumber arrived to replace the pipe. 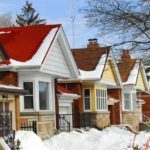 But, because the water had been slowly leaking into the basement for more than 6 weeks after the cable installation, there was a lot of mold damage. 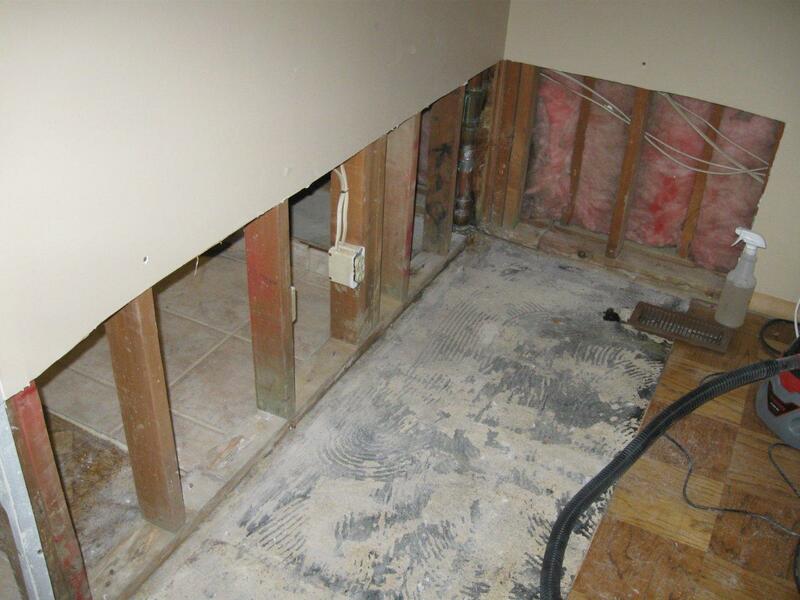 We had to remove all of it to protect the health of the family living in the home. 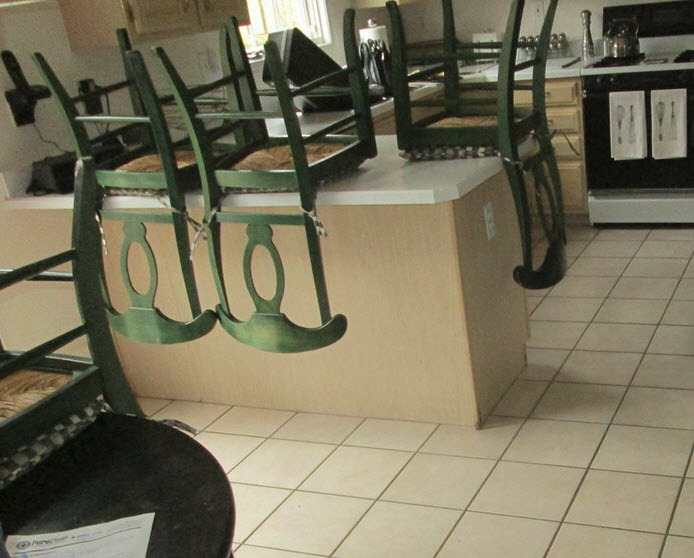 While it might not look like it at first glance, this homeowner was extremely lucky! 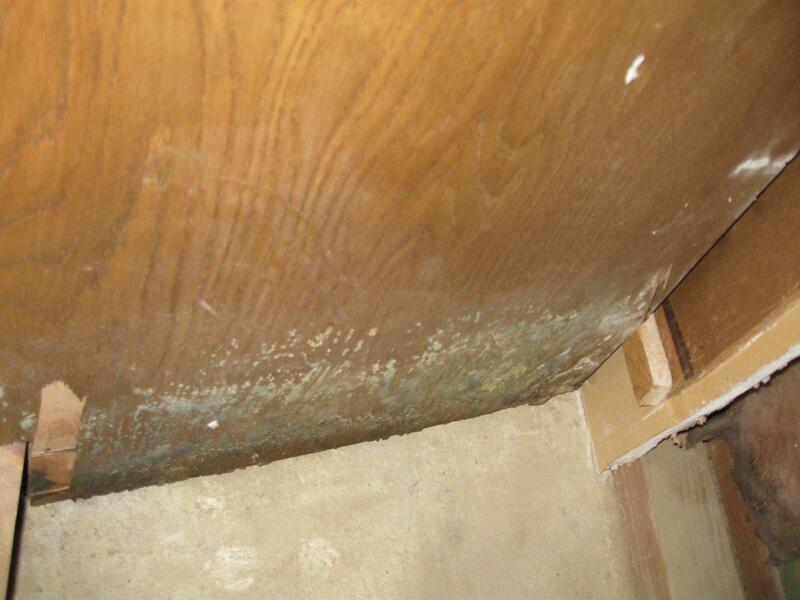 Because we found where the cable technician punctured the pluming behind the wall, we found the cause of the water damage that led to the mold growth. So, the bill for our services was picked up by the cable company. 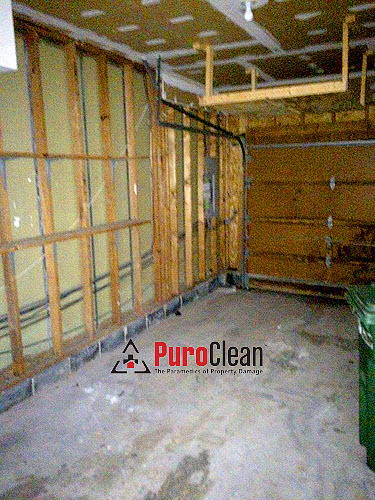 And, the cable company was lucky the homeowner called us to solve the problem, before the family suffered long term illness from exposure to mold. 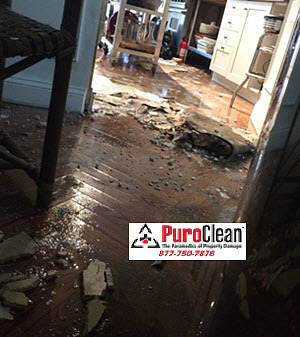 So, if you need help solving any kind of property damage problems, including mold damage, trust the experts at PuroClean Emergency Recovery Services! 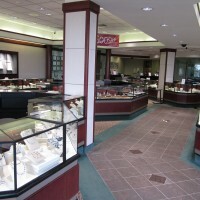 We’ll help you find solutions fast!